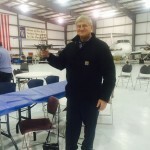 Winner Aviation would like to congratulate Ron Butler on his retirement. Thank you for 46 years of hard work, loyalty and leadership. We wish you all the best for your retirement!